Past, present, and future met on one stage before an audience of more than 200 students Jan. 22. No, this wasn’t science fiction, but it wasn’t too far off the mark either. The display switched to the interior of the International Space Station and Canadian astronaut David Saint-Jacques floated into view. “I got you loud and clear—ready to talk with you!” He waved to the audience and let his mic drift out of his hand, sending a ripple of laughter through the audience. Saint-Jacques, who launched into orbit on Dec. 3, 2018, is on his first mission aboard the ISS. During the next several months, he will be conducting scientific experiments, health tests, robotics tasks, and testing new technologies. He will also be taking part in a new project called Exploring Earth. Exploring Earth is an educational initiative that aims to encourage students and the public to learn about the science of Earth, its natural processes and landforms from space, as well as the impact that humans are having on the planet. From space, Saint-Jacques will be taking photos of various locations on Earth, which will then be posted online to an interactive map and paired with blog posts highlighting interesting natural and human phenomena. Bondar, who is also an honorary vice-president of The Royal Canadian Geographical Society, contributed to the Exploring Earth project, writing blogs and providing photographs. 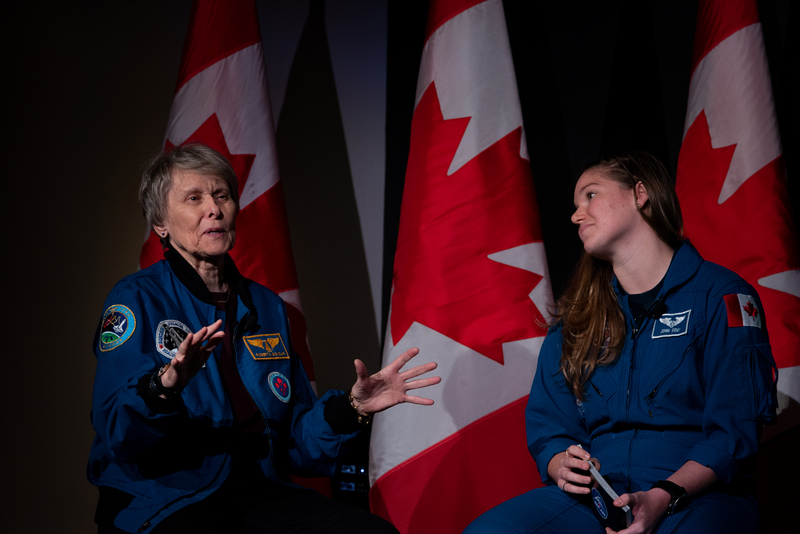 Through the Roberta Bondar Foundation, she has devoted her time to promoting environmental conservation, focusing on the migratory pathways of birds and the impact of climate change on their behaviours and habitats. Exploring Earth is the result of a partnership between The Royal Canadian Geographical Society, Canadian Geographic Education, the Canadian Space Agency, Ingenium – Canada's Museums of Science and Innovation, the Roberta Bondar Foundation, and Western University. Every week from now until June, three blog posts will be added to the map, accompanied by educational resources and classroom activity ideas for Grades 4 to 12. 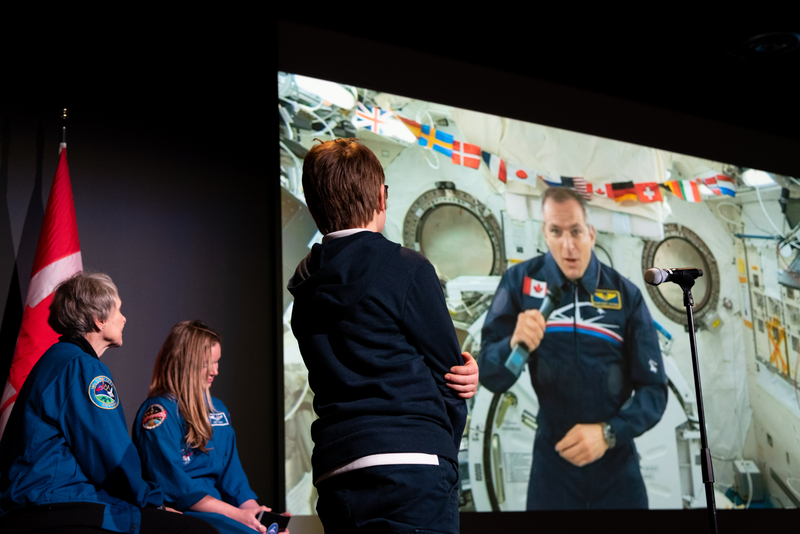 The launch of the Exploring Earth project also gave students an opportunity to chat with Saint-Jacques directly while the International Space Station was passing over Canada. Students came forward one by one to ask Saint-Jacques questions about everything from the changing seasons and the northern lights to whether you can see the Great Wall of China from space. One student asked Saint-Jacques what he found most surprising about looking down at Earth.